Supporting our status of cutting-edge member of the industry we would like to present you our new IB program aimed at the strengthening of the bond between OctaFX and our Introducing Brokers by considerably raising the IB commission. We love innovations that are designed for the win-win state of affairs between partners. Recently we’ve reviewed the IB model, previously based on spread. It turned out to be not as highly profitable as expected both for us and our IBs. Our highly valued low spread failed to amuse one important entity of users – the Introducing Brokers. Being supportive we set a goal to improve IB conditions. Looking for the new formula of successful cooperation we came up with a whole new system that will change your concept of IB partnership forever. It will allow IBs to raise the income and become unstoppable on their way to the unlimited fortune. As your client network grows you gain more profit. The aim to engage more clients in takes effort, but as you have reached highest rank you get an impressive amount of money. IBs do not have to focus on our lowest spreads – IB commission is calculated in accordance with traded volume. Moreover, we consider the exact money rate per lot to be more motivating. You will get your IB commission credited to your IB account once every 24 hours. 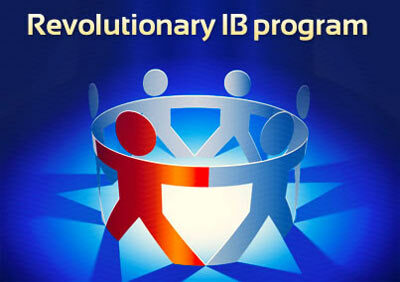 IB Personal Area interface allows getting the gist of calculation process and becomes even more user-friendly. Review your raised commission in a brand new IB Personal Area. Having any questions? Don’t hesitate to contact our brilliant customers support – we can always find a perfect answer to your every question. Reach prosperity being an OctaFX IB!